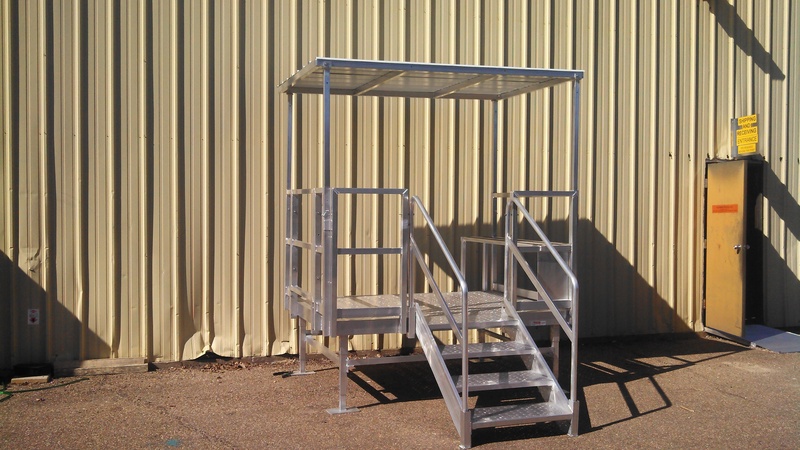 The REDD Team adjustable work platform porch is light in weight, yet mighty in stature. 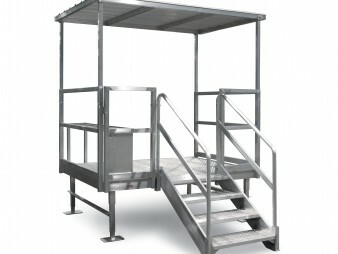 Perfect for moving between job sites or permanent settings. 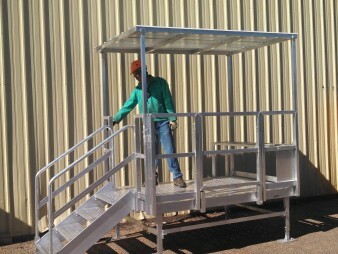 Truly a workhorse for Oil and Gas, Commercial, Industrial as well as other applications. 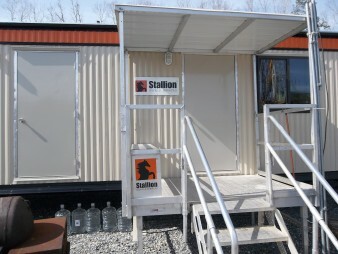 OSHA compliant. 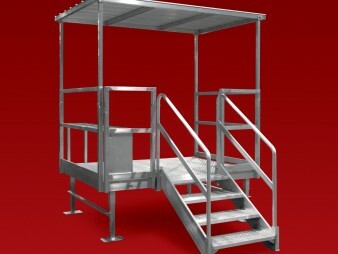 Can be engineered to meet other code requirements as required. 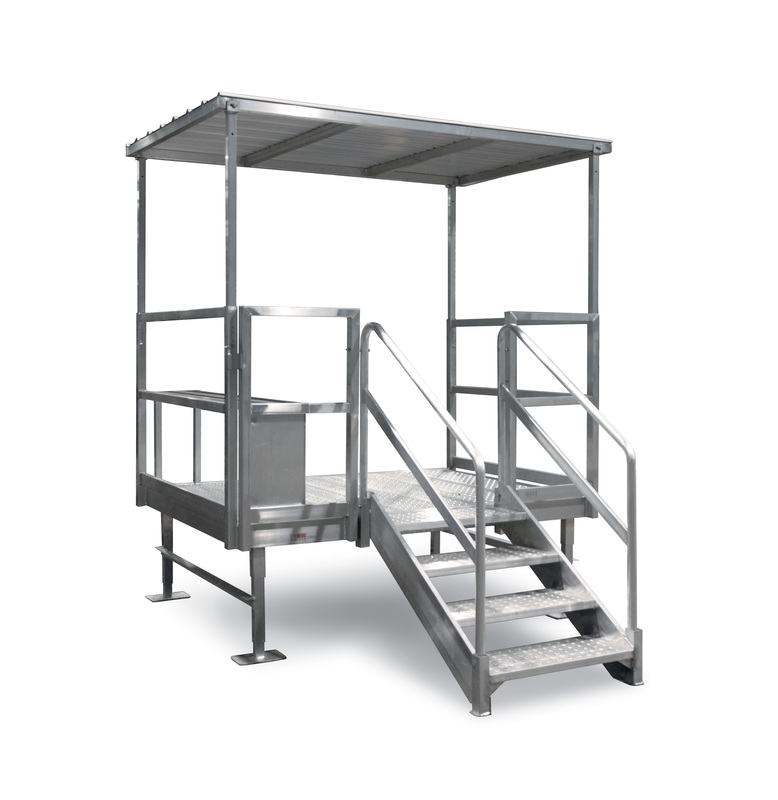 All-Weather Use: Only the finest aluminum and stainless steel components used as core raw materials. 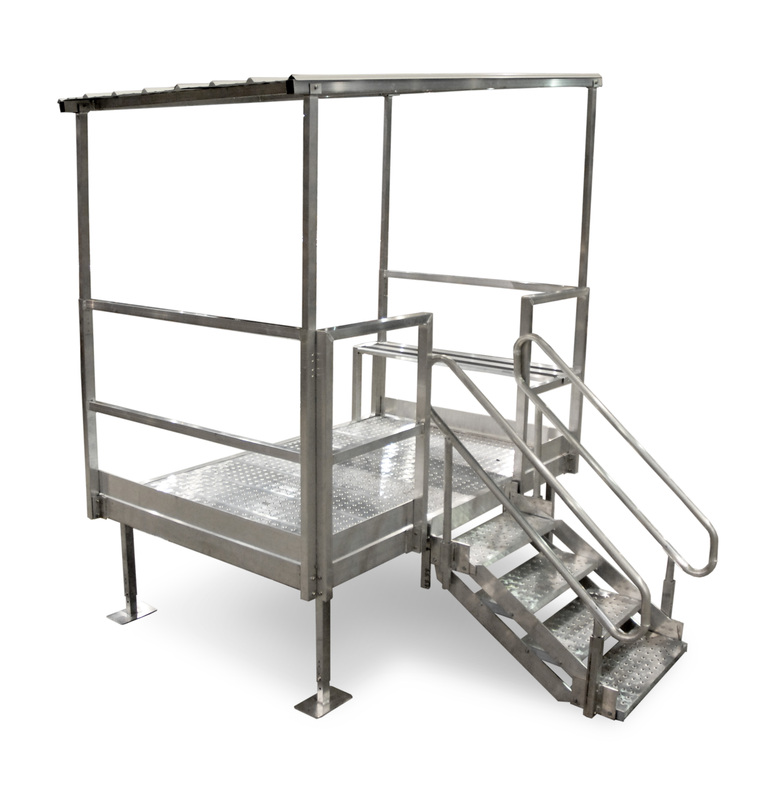 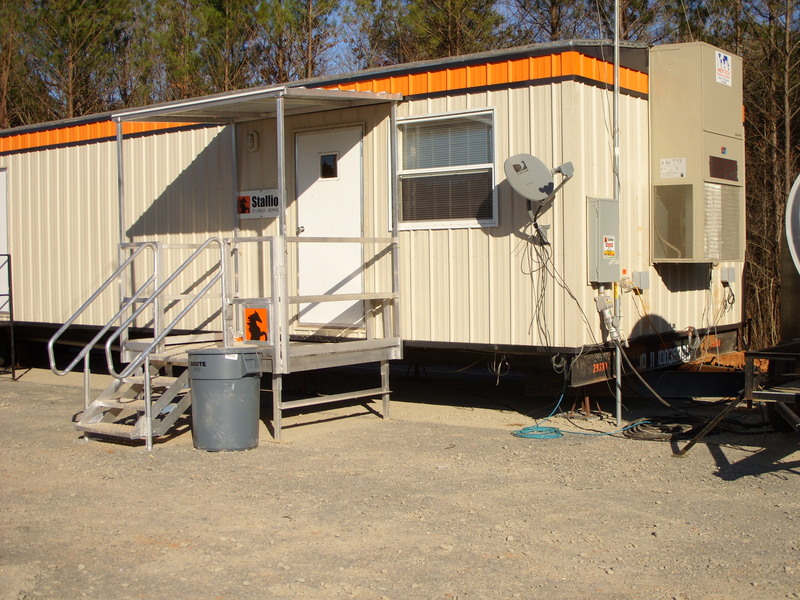 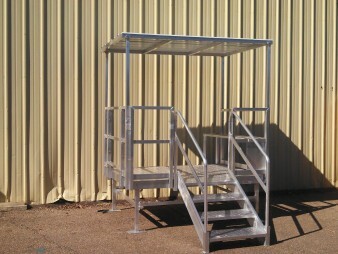 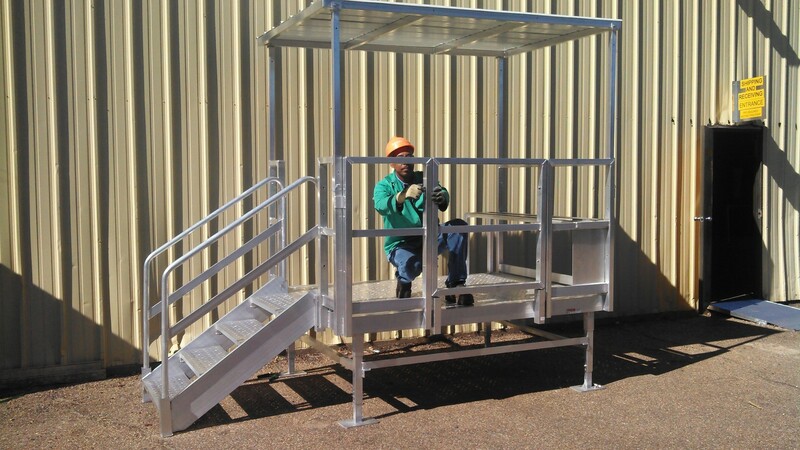 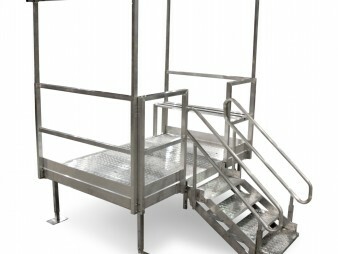 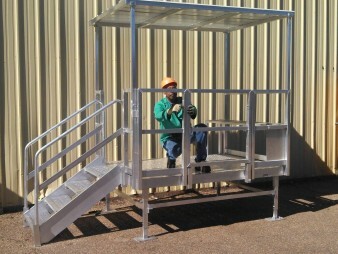 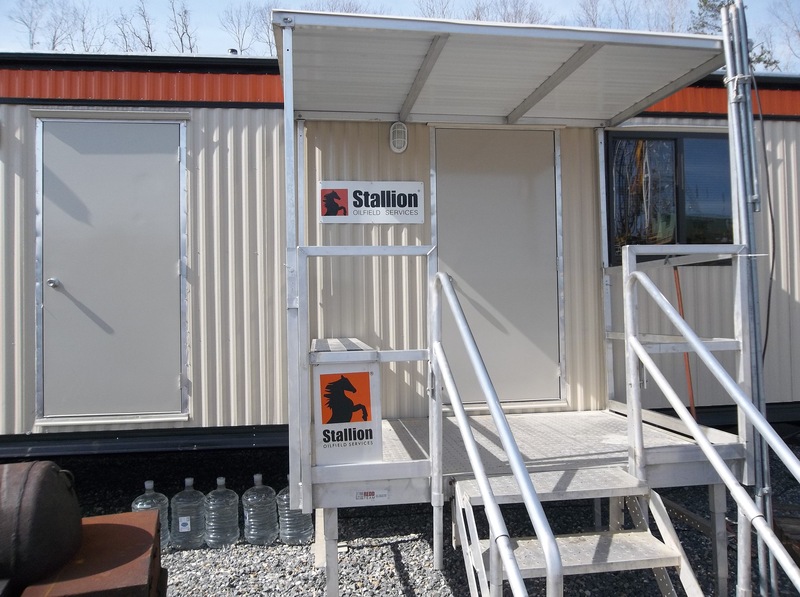 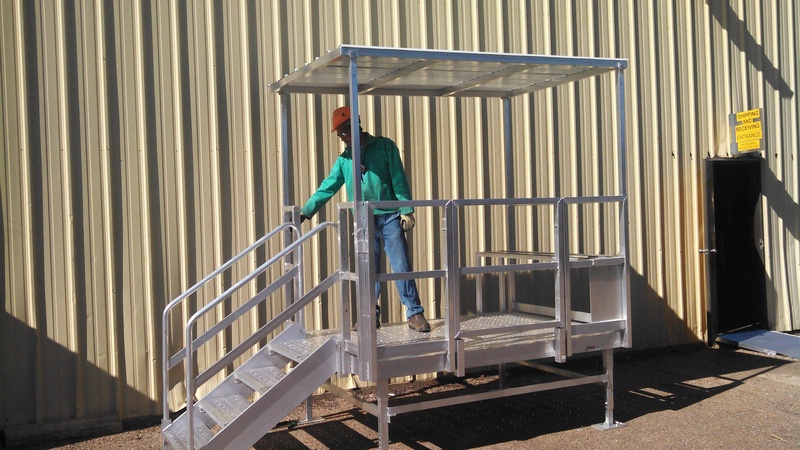 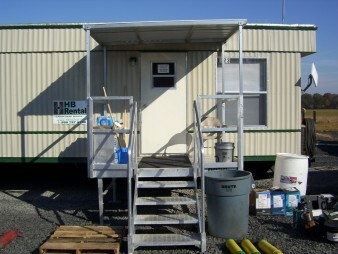 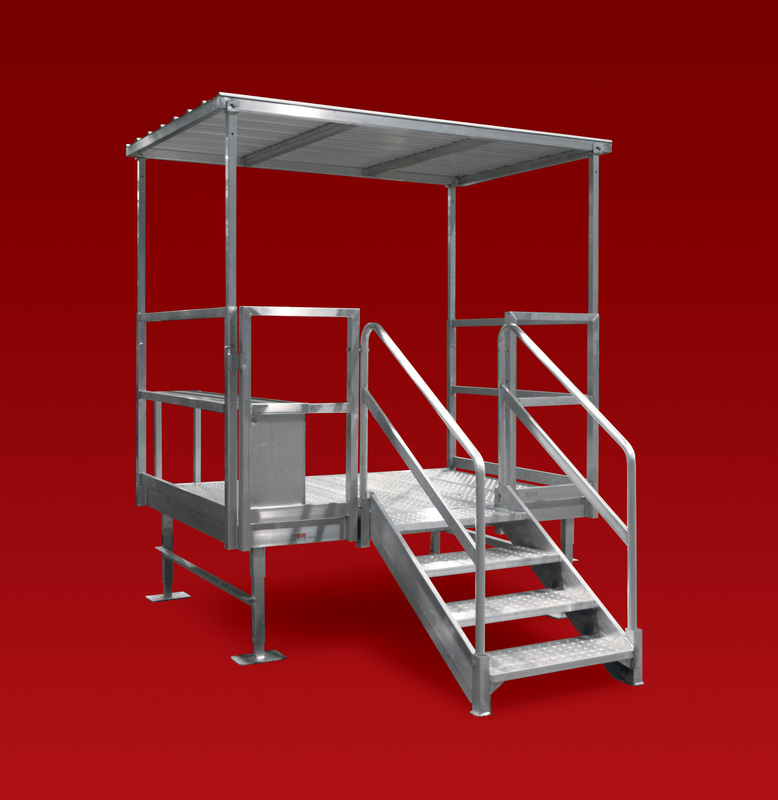 Comes fully assembled or modular for field use and transportability. 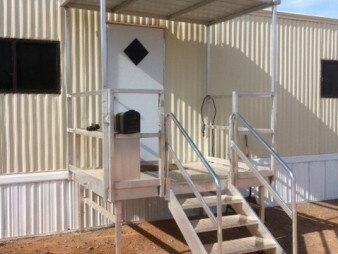 Adjustable landing and stairs accommodates a broad range of threshold heights. 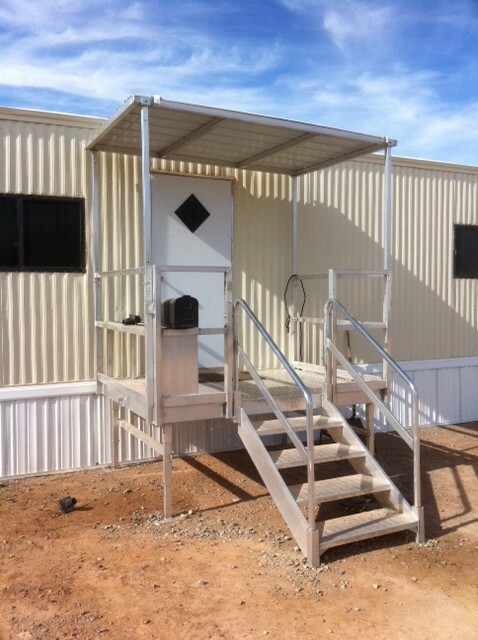 Variable awning pitches water shed to the side of the landing vs. stair side.